This work aimed to consider the hazardous side effect of eye floaters treatment with Q-switched Nd:YAG laser on the protein and viscoelastic properties of the vitreous humor, and evaluate the protective role of vitamin C against laser photo disruption. Five groups of New Zealand rabbits were divided as follows: control group for (n = 3) without any treatment, the second group (n = 9) treated with Q-switched Nd:YAG laser energy of 5 mJ × 100 pulse delivered to the anterior, middle, and posterior vitreous, respectively (n = 3 for each). The third group (n = 9) received a daily dose of 25 mg/kg body weight vitamin C for 2 weeks, and then treated with laser as the previous group. The fourth group (n = 9) treated with 10 mJ × 50 pulse delivered to the anterior, middle, and posterior vitreous, respectively (n = 3 rabbits each). The fifth group (n = 9) received a daily dose of 25 mg/kg body weight vitamin C for 2 weeks, and then treated with laser as the previous group. After 2 weeks of laser treatment, the protein content, refractive index (RI), and the rheological properties of vitreous humor, such as consistency, shear stress, and viscosity, were determined. The results showed that, the anterior vitreous group exposed to of 5 mJ × 100 pulse and/or supplemented with vitamin C, showed no obvious change. Furthermore, all other treated groups especially for mid-vitreous and posterior vitreous humor showed increase in the protein content, RI and the viscosity of vitreous humor. The flow index remained below unity indicating the non-Newtonian behavior of the vitreous humor. Application of Q-switched Nd:YAG laser should be restricted to the anterior vitreous humor to prevent the deleterious effect of laser on the gel state of the vitreous humor. 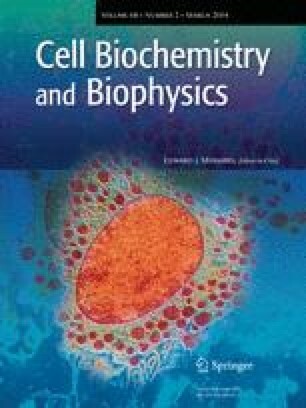 The authors would like to express great appreciation to Prof. Dr. DesouKi O S (Biophysics lab, Radiation physics Dep., National Center for Radiation Research and Technology) for his kind collaboration and scientific advices in preparation of this work.